Wipro Freshers Recruitment On 8th July 2016 - Delhi,Noida. Wipro Freshers Recruitment On 8th July 2016 - Delhi,Noida. 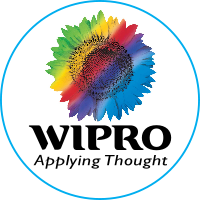 Freshers Jobs At Wipro For The Position Of Associate. Wipro Hiring Freshers 2016-2017. Freshers Walkins At Wipro Noida. Walkin Date: 8th July 2016. 0 on: "Wipro Freshers Recruitment On 8th July 2016 - Delhi,Noida."